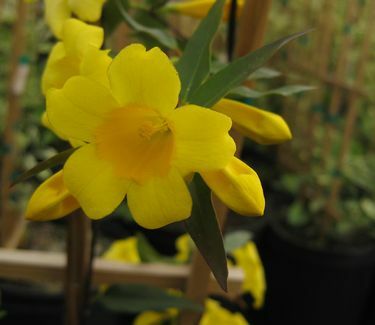 The fragrant yellow trumpet-shaped flowers of 'Margarita' Carolina Jessamine appear in April and May and are more prolific in full sun, although shade tolerant. Foliage is dark glossy green and semi-evergreen. 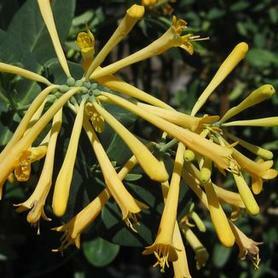 This Gelsemium is a cold hardy selection sent by Tom Dodd, Jr. of Alabama to Gene Cline of Georgia, who introduced it to the trade. It was found by Don Jacobs of Eco Gardens and he named it after his wife. PRN Preferred: Early season fragrant blooms completely cover this vine. A show-stopper when in bloom, quick to establish.